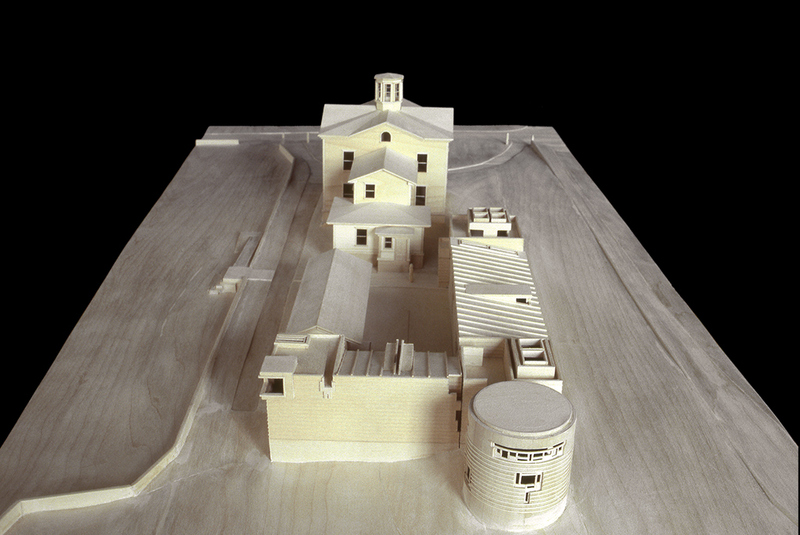 In 1995, the Stonington Historical Society called for a project to expand upon a historic structure, originally the home of Captain Palmer of Stonington, Connecticut. The original building – an impressive work of architecture of the period – was designated a National Historic Landmark. The local historical society used the building to house an archival collection of books, documents, art, and other historic artifacts from the Palmer Estate. 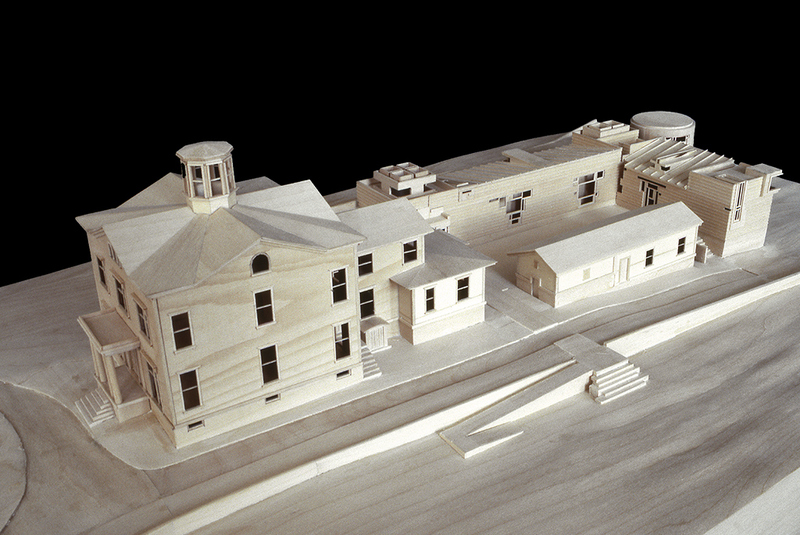 The organization envisioned a larger archival library and visitor center. 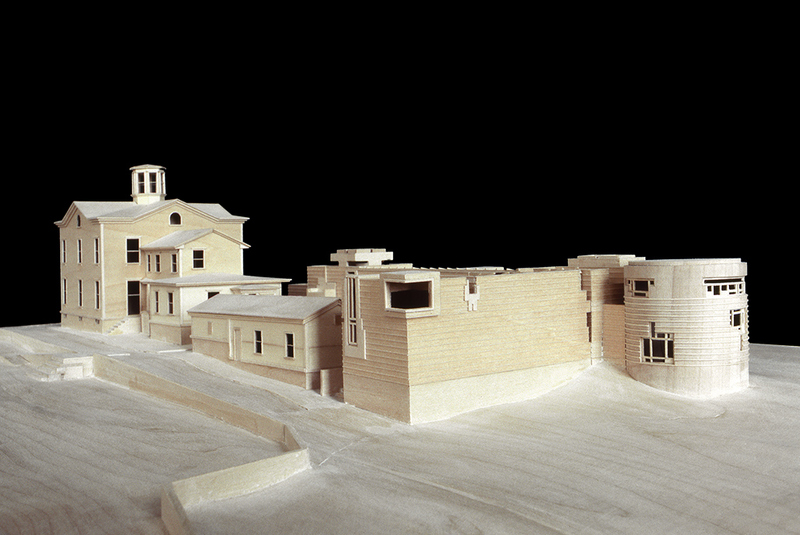 George Ranalli Architect interpreted the client-organization program in the form of a 3,400 square ft. addition to the existing historic building and landscape architecture for a new distinctive enclave, shaped by the building, bordering the western and northern ends of the site, and the old Palmer Mansion and ice house, at the southern and eastern edge. 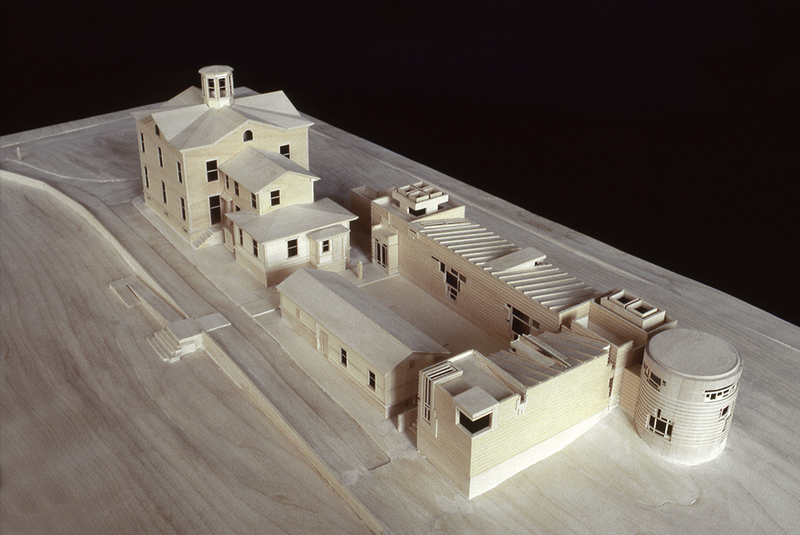 The architecture for a new entrance through the courtyard leads to large entryway of the new building housing an array of arrival spaces stretch across a length of corridor, also accessible to the courtyard; a cylindrical reading room and rectangular seminar space, marking each end. The adjacent volume to the east also contains archive space. Throughout, a sequence of windows and roof monitors capture natural light, defining the space and a specific lighting effects, producing a unique atmosphere. Interior element include an array of types of container for archival materials feature flat panel wood and glass cabinet doors. 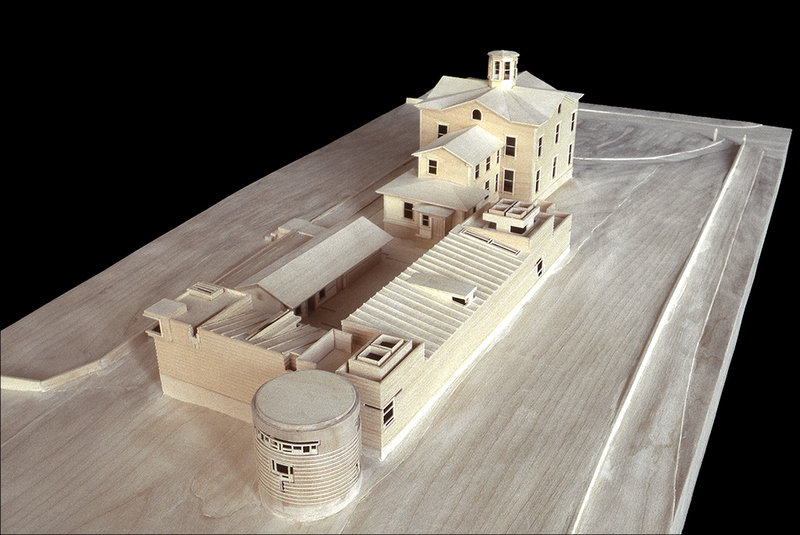 The new wood clad building atop a stone base is attuned to the spatial and material qualities of the old buildings, but do not represent historic replication. The new architecture attuned to history and setting is also autonomous, and the elements form a unique blend of old and new in one cohesive and distinctive new archival library complex.